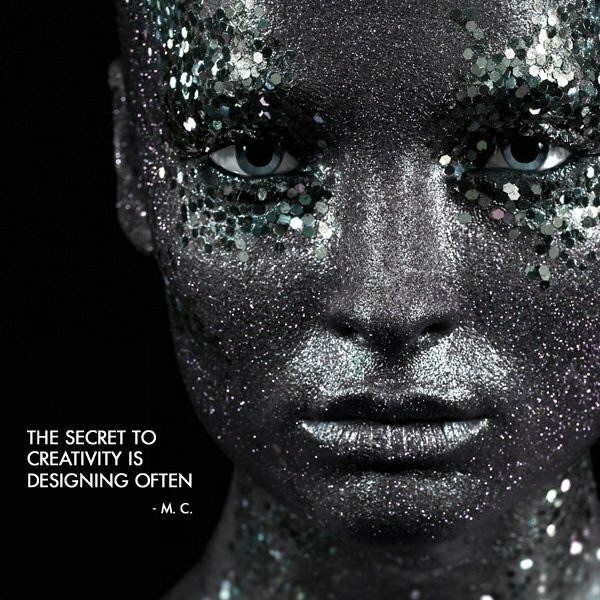 Here are some more quotes on creativity. I received these as a part of the A' Design Awards' campaign on good design. Since some of these quotes are really golden, decided to share with you and I am wondering when they will start making posters or t-shirts out of them. Here are some of the best quotes on creativity, design and innovation, as usual with my comments! 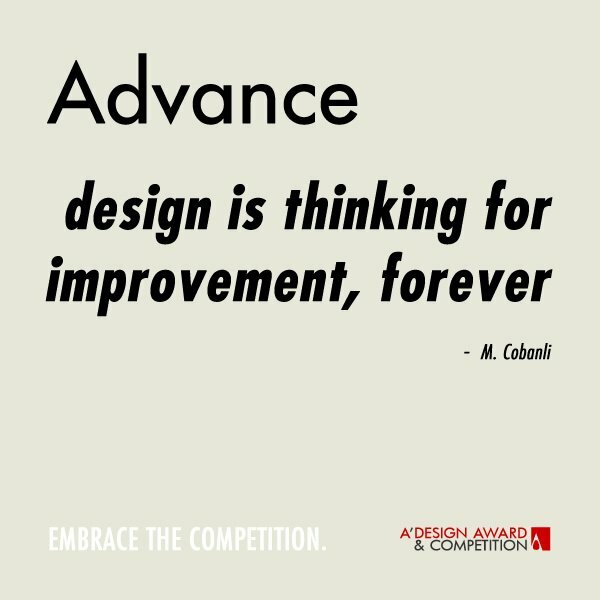 Design is thinking of improvement, forever. Good design shall advance mankind. 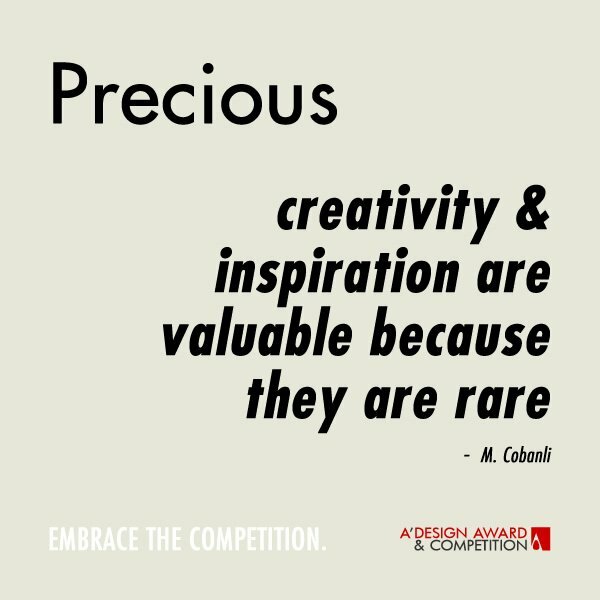 I like the philosophy of A' Design Award, they state their mission as: to create incentives for designers worldwide to come up with superior products that benefit. I think that is what Dr. Cobanli is talking about. Good publicity starts with good design. This one is an absolute reality. 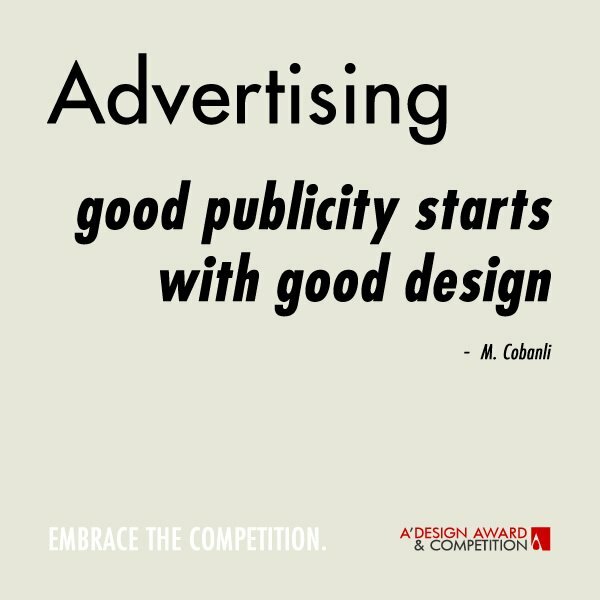 You need a good design to ensure your advertising campaign or publicity work. Otherwise, without good design, it is just loss of money. Of course you need design not just for the campaign, but also the products themselves. 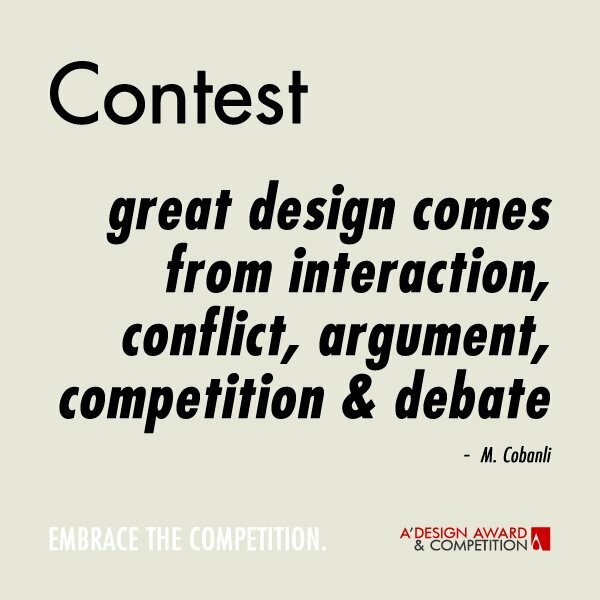 Great design comes from interaction, conflict, argument, competition and debate. True. I think best designs come when there is a sort of interaction, passing of ideas, arguments etc, design should make use of prior knowledge, so no wonder great design comes from interaction. 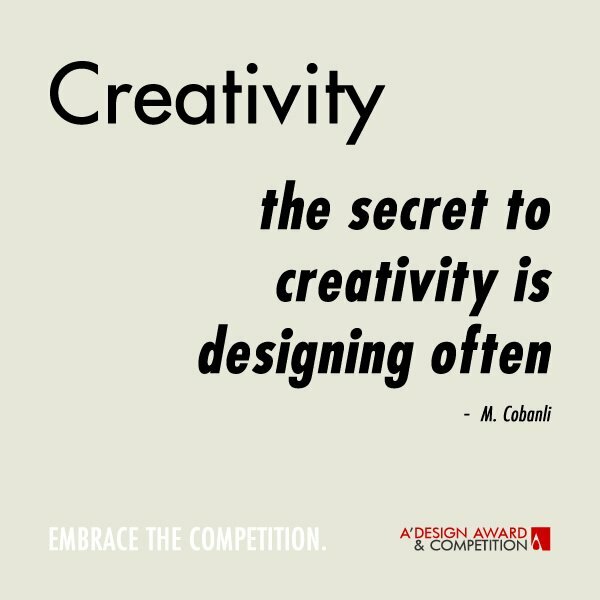 The secret to creativity is designing often. This is indeed a fun quote for creativity. 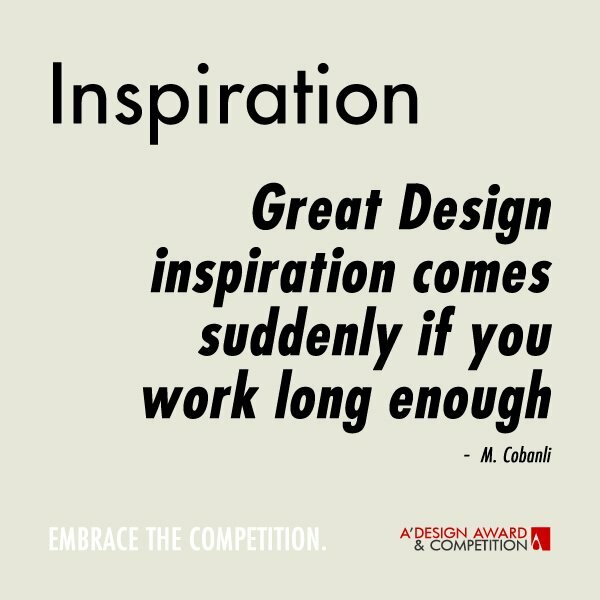 I totally agree, it is like practice makes it perfect, or mostly perspiration and a bit of inspiration, or many others that relate to hardworking, I guess the design field is no different, you need to work hard and occasionally you will have great ideas. 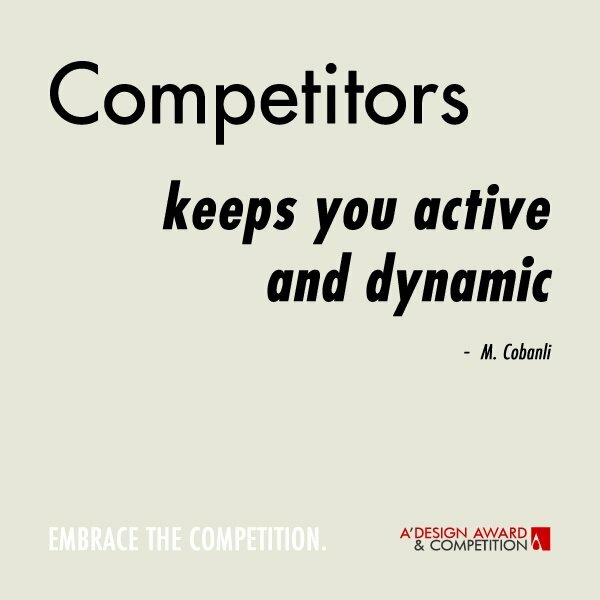 Competitors keep you active and dynamic. Most people hate competitors, well because they compete with you, but it is so right, they push you and make you active and dynamic, your competitors make you competitive. 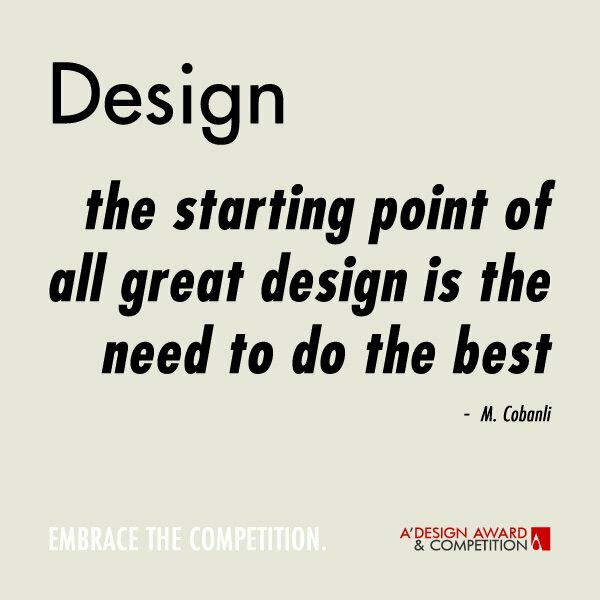 The starting point of all great design is the need to do the best. I think any good design starts with a need, but for great design perhaps there is actually a need, by the designer, to achieve the best result, it might be satisfaction of ego or anything else but it matters. 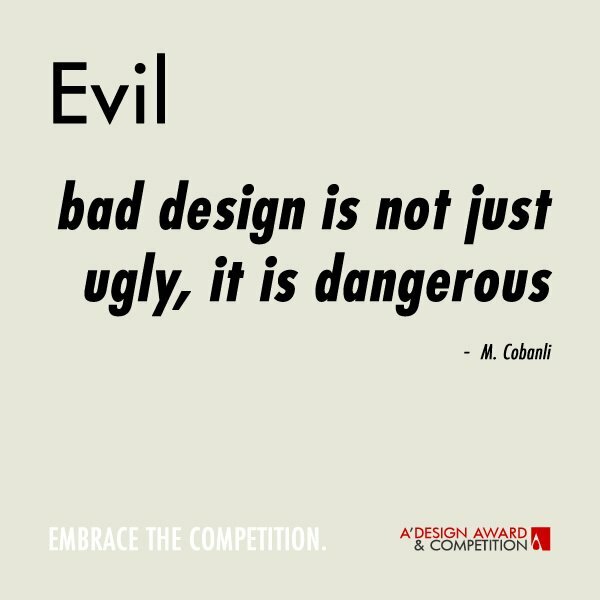 Bad design is not just ugly, it is dangerous. This is true. Bad design can be literally dangerous. But if I had written this one, I would write something like: Sometimes good design is not beautiful, but bad design is always ugly. - Frank Scott! 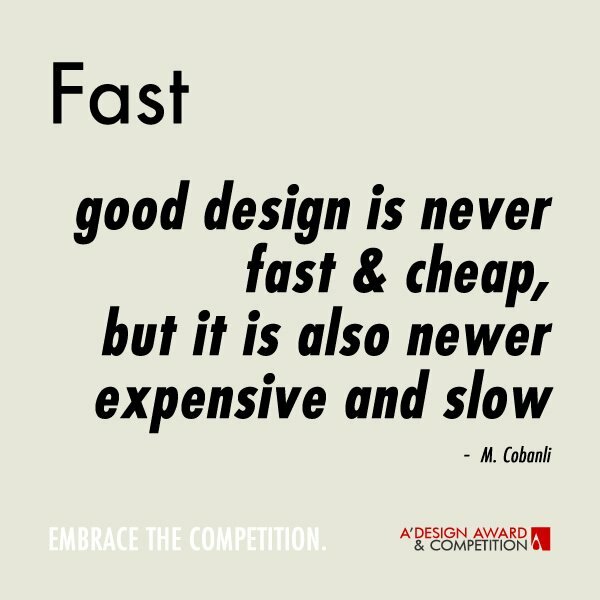 Good design is never fast and cheap, but it is also never expensive and slow. I remember the phenomenal sentence: Choose 2: Good, Cheap, Fast. I think this quote very well integrates this philosophy, and turns it into something relevant to design. 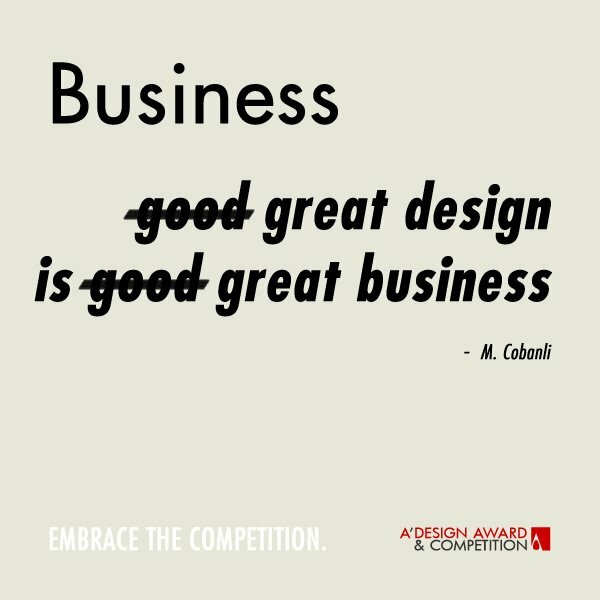 Great (not just good) design is great (not just good) business. 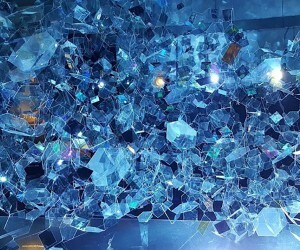 So perhaps now we live at a design-aware time, where every good company already have good design, thus it is so true that you would need great design to be a great business. 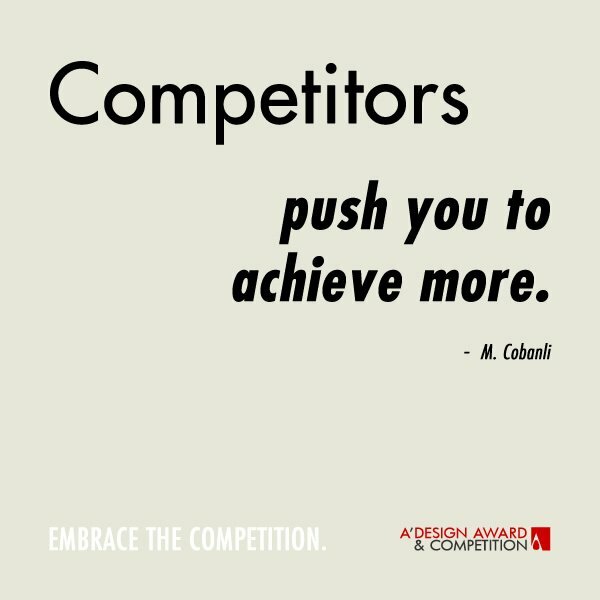 Competitors push you to achieve more. This quote on competitors is so true. If I may, I just thought that competitors are like evil step-mothers; they watch you always, they never approve your work, and they will push you to achieve more, only if it would bring them something good. However I think, in this quote the original meaning was, competitors make you work hard or similar. Great design inspiration comes suddenly if you work long enough. This quote on inspiration makes me laugh. The secret recipe of good design is working hard. True. Inspiration is sudden, but you need to have experience to grasp it when it comes. 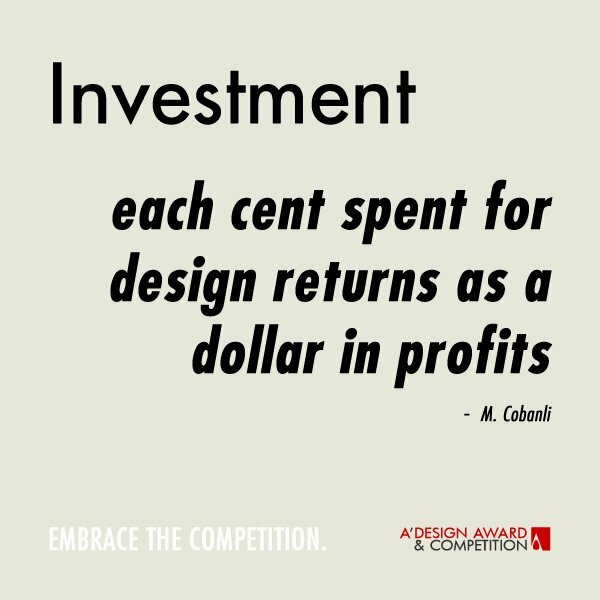 Each cent spent for design returns as a dollar in profits. I think this is true, everyone wants to buy the best looking product, always, provided of course if the prices are the same. So if two commodities compete with same price but one with a better design, that better one, will sell like hundred times more. 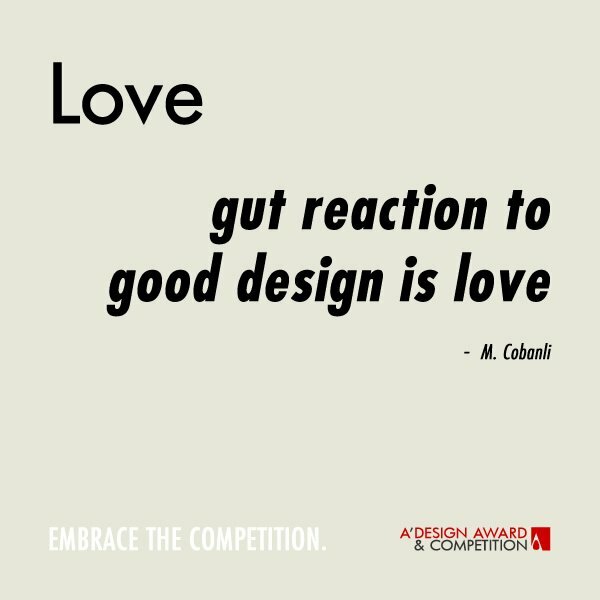 Gut reaction to good design is love. I think at this quote on design, the author wants to say that great design makes an emotional bond by its users or consumers. Creativity and inspiration are valuable because they are rare. I think this is the issue why some designers fail, the lack creativity and inspiration both; I sincerely believe inspiration can be acquired as well as creativity, so why not work hard to acquire these skills? Competitors understand your business the best. Indeed a wise statement. 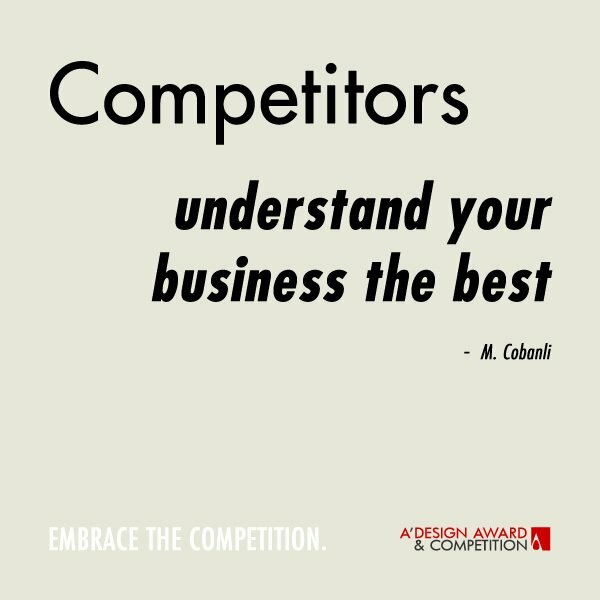 Competitors are probably the ones that understands your business the best. They of course monitor each and every action you take, they share same market, and grasp all your ideas! 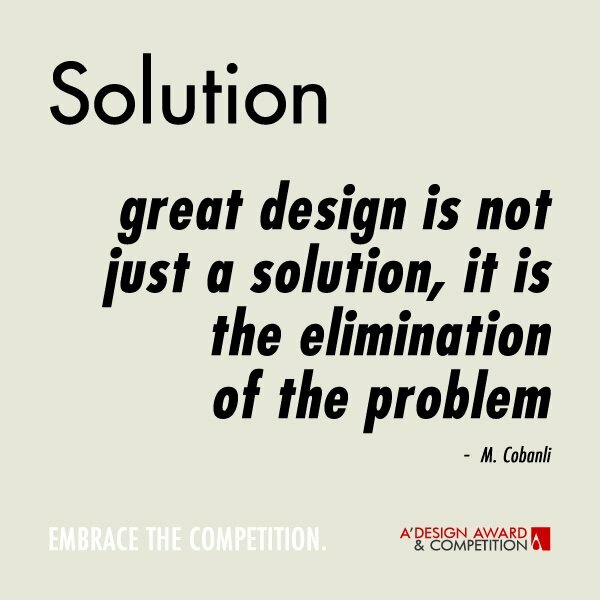 Great design is not just a solution, it is the elimination of the problem. He has a similar quote on great design: Good design solved the problem, great design prevented it. I like this version more, but this one is more straightforward, more like a statement. 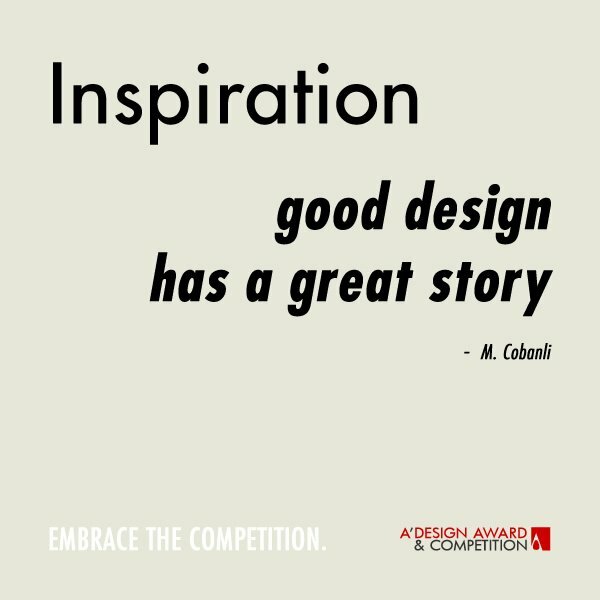 Good design has a great story. As a media member, I could guarantee you that a good design must have a great story, at least you must create one to pitch it right. But I think the author wants to say that good design arises due to a great inspiration. 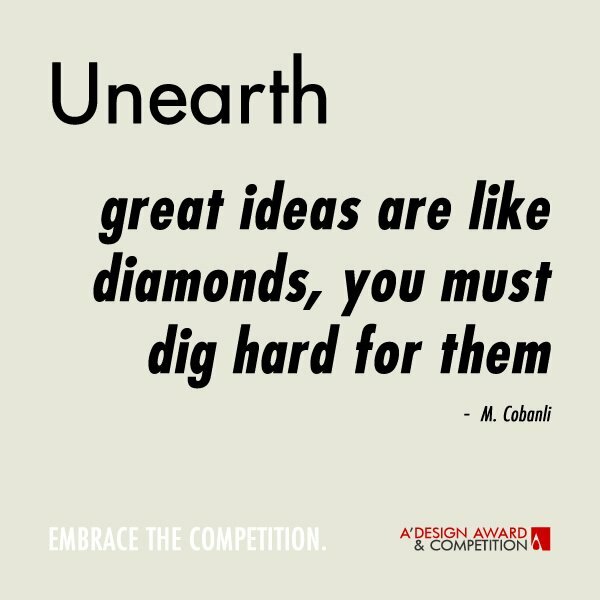 Great ideas are like diamonds, you must dig hard for them. Yes. The work hard quote. These quotes are everywhere, now we have one for design. I think it is actually necessary, we shall be reminded to stop procrastination and get things done. 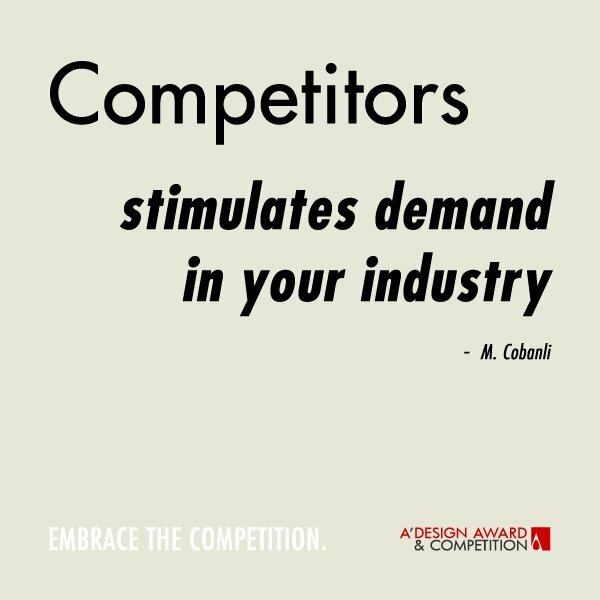 Competitors stimulates demand in your industry. Interesting and a wise statement. Competitors could indeed stimulate demand in any industry by releasing new products, and advertising product benefits. I think each competitor should also be a sort of a collaborator, since as they say in Italy, they are in the same boat. This article was added on Thursday, 26th of June, 2014 at 10.26 am by author Frank Scott Tags: creativity quotes, quotes for design, quotes for creativity, quotes for innovation. Read our copyright policy here.